If a clean, consistent look is a must-have for your company’s website, this is the PowerUp for you. 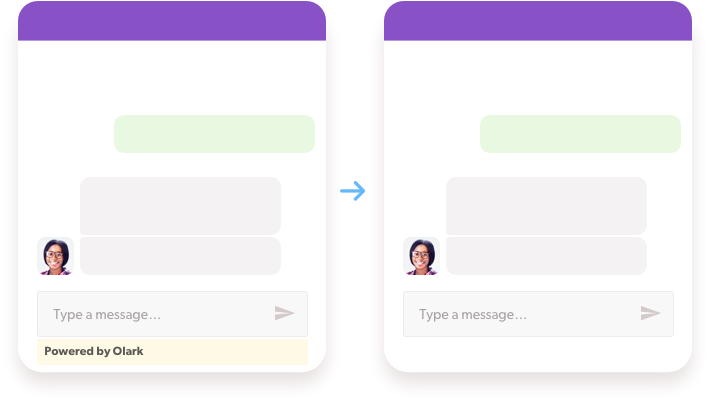 Non-Branded Chatbox removes the Olark link from your chatbox footer, ensuring that your customers stay focused on your products and brand throughout their chat experience. Customize the chatbox colors to compliment the appearance of your site. Have chat agents upload their headshots to greet your visitors with a human face. Customize your chat button text, and add a welcome message to display when a visitor expands the chatbox.